The recommendations assembled below represent discs proven to provide the best overall results for the broadest range of players*. We strongly encourage players to include the appropriate discs below in their bags. These discs can help significantly improve your game by combining the best possible moulds, plastics, and weights for optimal performance. * Please note that not all of the recommended discs are necessarily beginner friendly discs. 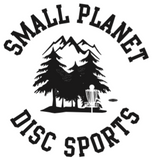 Beginners should check our "Choosing Your First Golf Disc" section.